Measuring Your Child’s Growth: Are You Guilty Of This Too? One of the things I’m very much guilty of was measuring my children’s growth based on their physical appearance. I guess it’s kinda normal in the first few months when our pedia, my husband & I would exchange notes on how well Juro is doing because these measurements literally tell us if our child is indeed on the right track. If he’s taking enough milk, if he’s sleeping enough, if he’s gaining weight or if he’s increasing length. These are all discussed during those monthly checkups for the first year or two to see if he’s growing right. Thinking about it now, what does it really mean for a child to grow right? You see from the moment I laid my eyes on my son, I know I’d have to be more mindful of him more than of his sister. I don’t know if that’s a mom intuition talking but I just know. On his second birthday he spent it in the ER because of a viral infection. Eventually we learned he has a sensitive stomach and there are certain kinds of food & drink that he cannot tolerate. Two years after and we learned he has IGA so it kinda got me a little more cautious with him than what I intended to. Nonetheless his doctors assured us that as long as he lives a healthy lifestyle paired with a balanced diet then he’ll grow up to be a healthy, strong child. While I’m not the type who would give advice to other parents especially to first time moms, I’d just like to reminder every parent not to feel pressured by the scale, chart or numbers. I have learned so much taking care of this little boy over the years. One of which is to let go of the pressure I put on myself and on him to reach certain milestones when it comes to his physical growth. After all overall growth also includes mental & emotional development. I guess we parents really attribute physical growth as a measurement not only of our children’s growth but also the way we parent them. And I think we’ve picked this up from our parents & older relatives. You know how back in the day a healthy baby/child means having chubby cheeks & weight heavy enough that grandmother cannot carry him/her for too long? Over the years I’ve learned that it’s not all physical growth. Proper growth also involves mental & emotional development. I’ve observed that Juro very expressive & relates well to others, something that is innate in him yet through experience he’s able to develop further. And if I were to measure his growth this way, I’d say he’s grown consistently in the past six years. 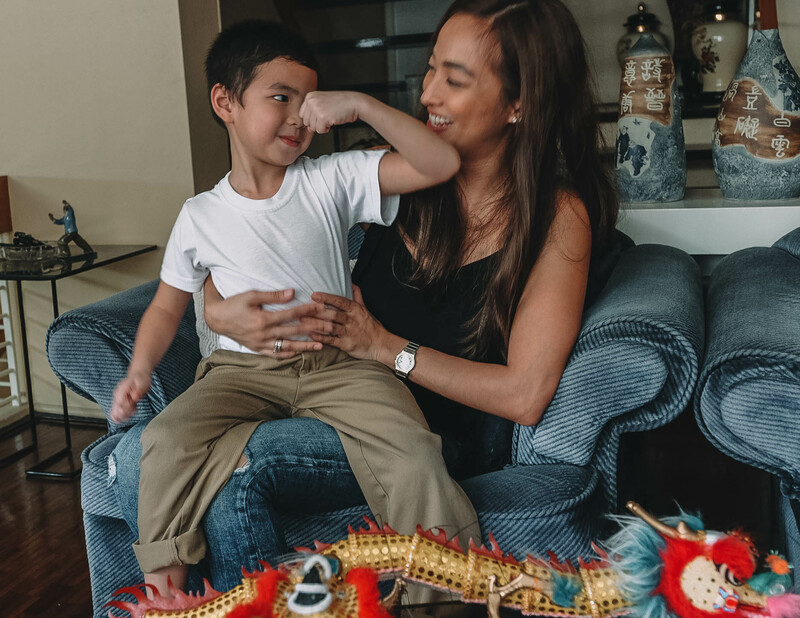 While I do not pressure my kids to achieve certain milestones in their lives (you know the whole nine yards–rolling over, crawling, standing, walking, talking, reading, writing, and so on) I do challenge them to get in touch with their emotions & be creative. Two of the things I know are important to be developed as well. He’s not afraid to say what he feels & express it too. I can say he’s the type of person who is in tune with his emotions which in turn leads to being emphatic to others. 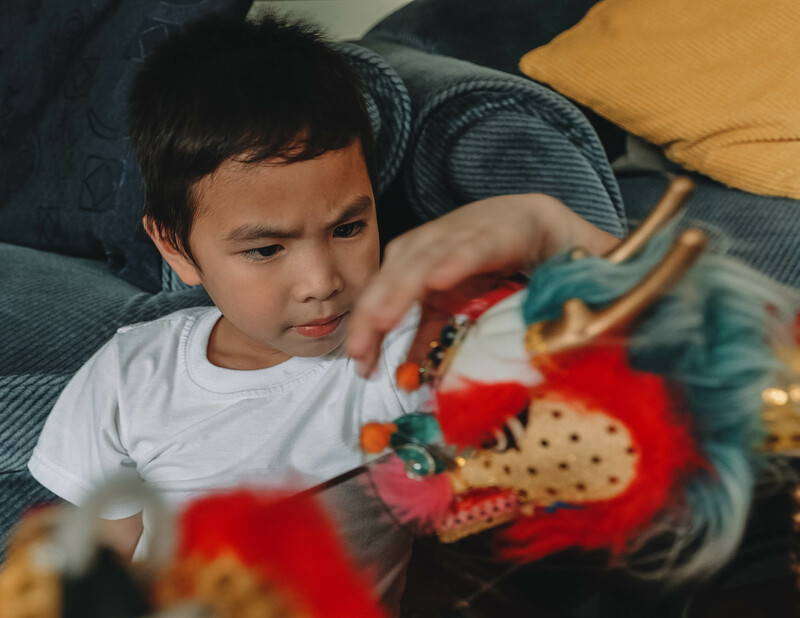 He also loves to play—a tool that lets his imagination & creativity flourish. And when it comes to mental development, his school has been challenging his cognitive skills which we’ve been following through at home. Exposing our kids to stimuli that can further develop our kids mental & emotional growth is one way to help them nurture their gift. 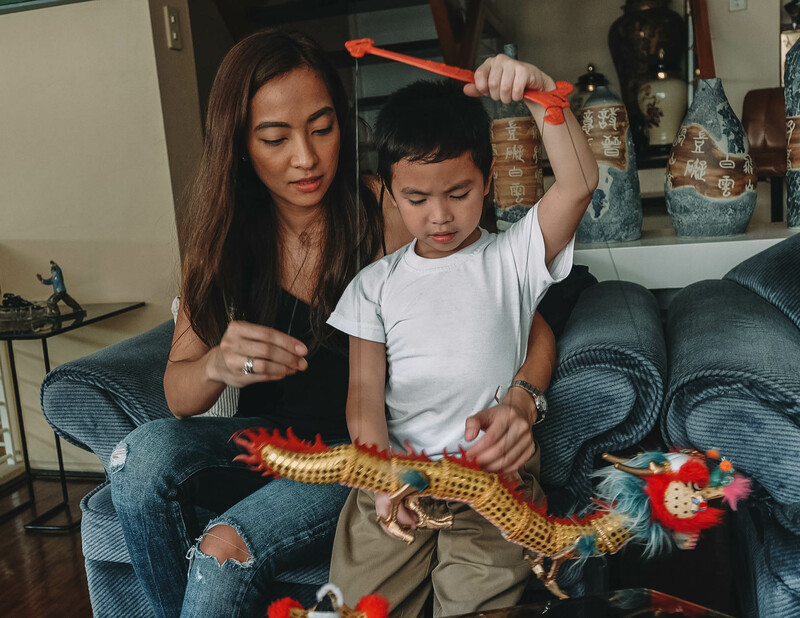 But it’s also important to know that proper nutrition plays a very important role in letting our kids achieve proper growth—not just physically but mentally too. Aside from providing well-balanced meals, letting Juro get enough sleep, I make sure he still drinks a glass of Promil Four milk. It has essential and important nutrients for proper growth & mental development. It’s got the right amount of protein, fat, and carbohydrates for kids over 3 years old. 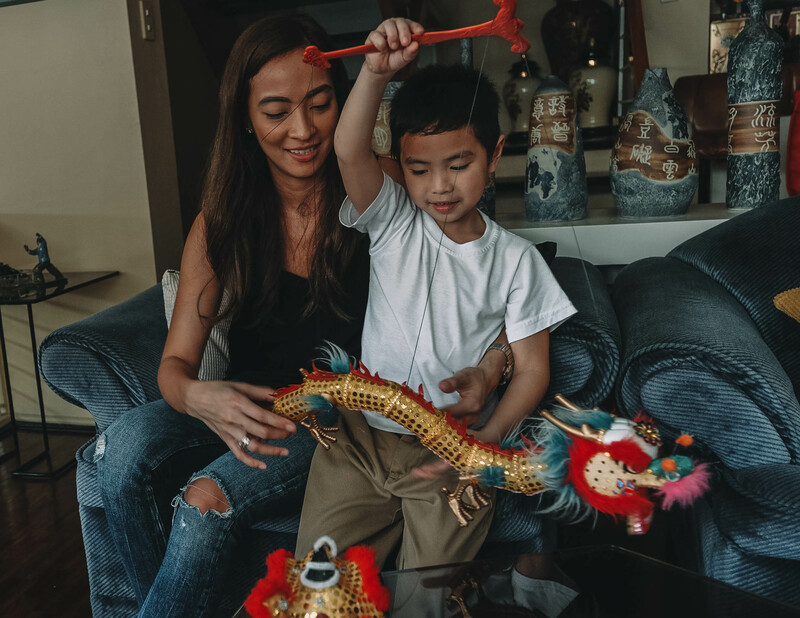 According to FNRI’s Philippine Dietary Reference Intakes, a child’s milk per serving should have Protein within6-15% of total energy, Fat within 15-30% of total energy, and Carbohydrates within 55-79% of total energy to be within the acceptable macronutrient distribution range (AMDR). Below recommended range may stunt child’s growth and drain energy, while above may cause risk of obesity. 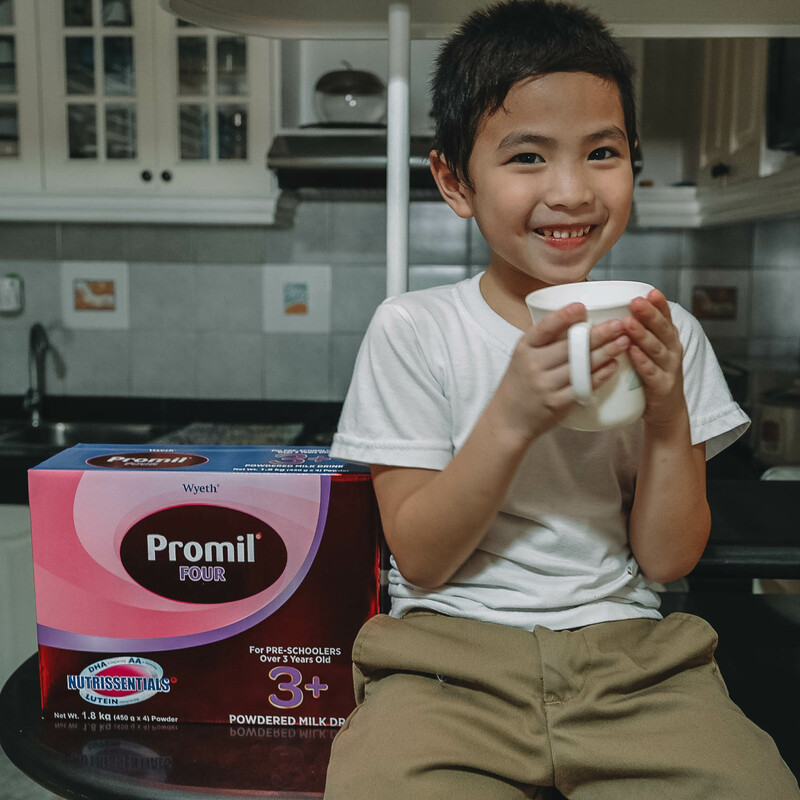 So glad Promil Four is the only formula milk with NUTRISSENTIALS. It contains DHA, AA, Lutein, Iodine, and Iron to help support brain & visual development. It also has Vitamin A which supports healthy eye development; Zinc for normal growth& maintaining a healthy immune system; Niacin, which aids in metabolism; Biotin, is which enhances energy for physical development; and Potassium, which promotes healthy muscles. Reading the label of your child’s milk can help you make good choices for your child’s growth & development. 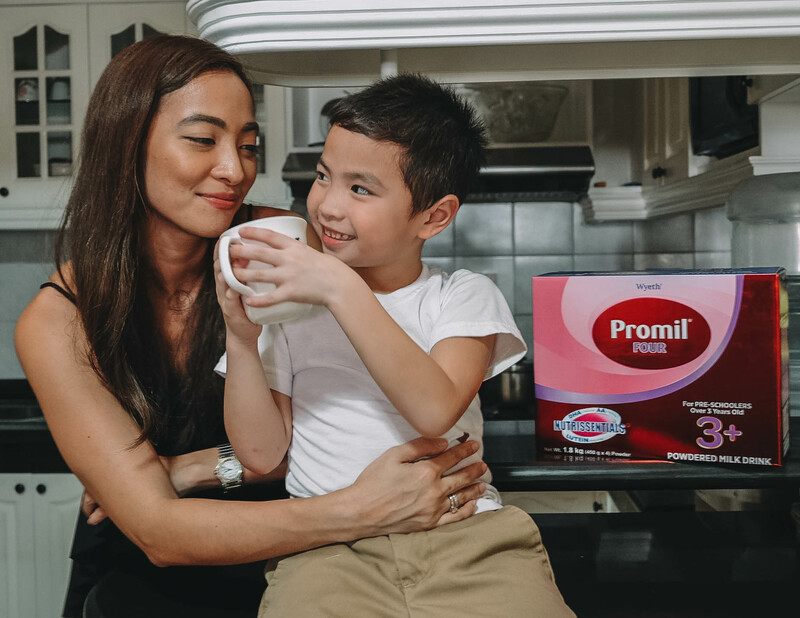 Know more about Promil Four through their website www.promilnurturethegift.com.ph.